These are the steps common to all the techniques. Use links to instructions and resources on other pages for additional parts of the process. Keep going until it is looking back at you. No monsters, symbols, geometrical designs. There are so many extreme HUMAN characters to choose from. Strive for maximum emotional effect. Use mirrors to see facial expression. These materials are needed for the creation of a mask. 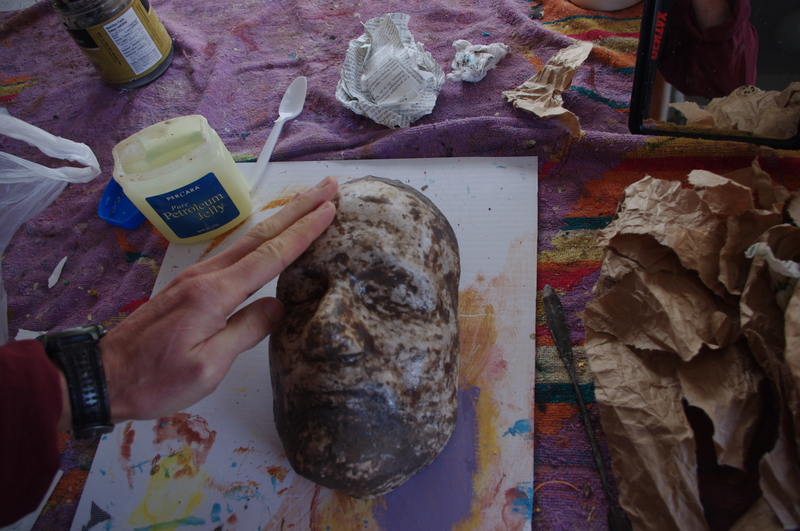 A plaster face mould is useful to create a mask on (though not essential. Clay can be easier to work with than plastercene but it needs re-hydrating. Best to buy cheaper poor quality clay from a ceramics distributor. Raise up plaster cast with clay and/or a block of wood. Add thin layer of Vaseline to cast. Enjoy the feel of the clay. Make big features, avoid symmetry . Leave plenty of space for your eyes. Connect to face gradually or on existing facial lines. Expression can be torqued/adjusted when moulding is complete. 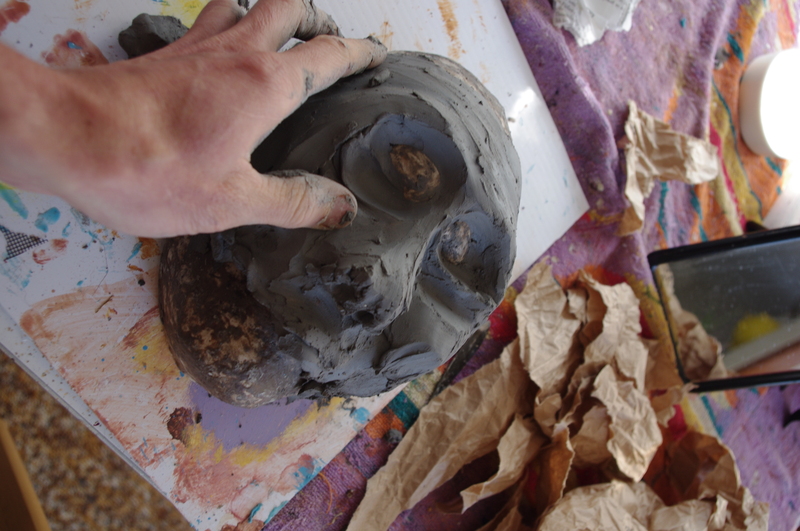 Create mask while clay is still soft so that it is easier to remove or dig out. Experiment with more or less of each to get the color you like. Use darker or lighter versions of this to make highlights and shadows. Look in a mirror to see what kind of coloration we have on our faces. Use a sponge or finger to blend. Avoid harsh lines. Try stippling with a thick round brush rather than painting strokes. Try the technique of mixing the colours on the mask! 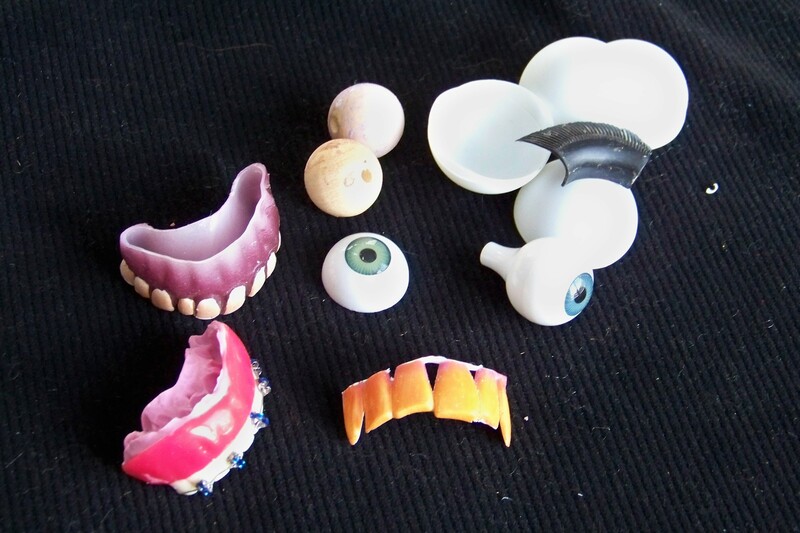 Now is the time to cut eye and nose holes, insert eyes and glue in teeth. Put black mesh screen behind eye and nose holes to block light. Glue on eyebrows and moustache hair if desired. It is possible to seal mask with clear varnish. Be sure it is non toxic. Polyurethane based clear sealer is good. Use only Matte on the face. Gloss can be used on eyeballs and lips. I have found this to be a way that anyone can learn. I have made masks with children’s groups this way. The important part is that they mould the face fairly quickly without censoring themselves. They should attempt to make it human with recognisable features that match up with our features, (especially the eyes). The mask should have great emotion. Use mirrors as reference to how faces look with strong expressions. *students usually want to begin by making monsters or pieces of art, but this is just a defence to not express something genuine about themselves. The more human a mask looks the more it can take on a personality that we recognize and can develop. Lube the Stone: Vaseline the raised positive cast with a thin layer. 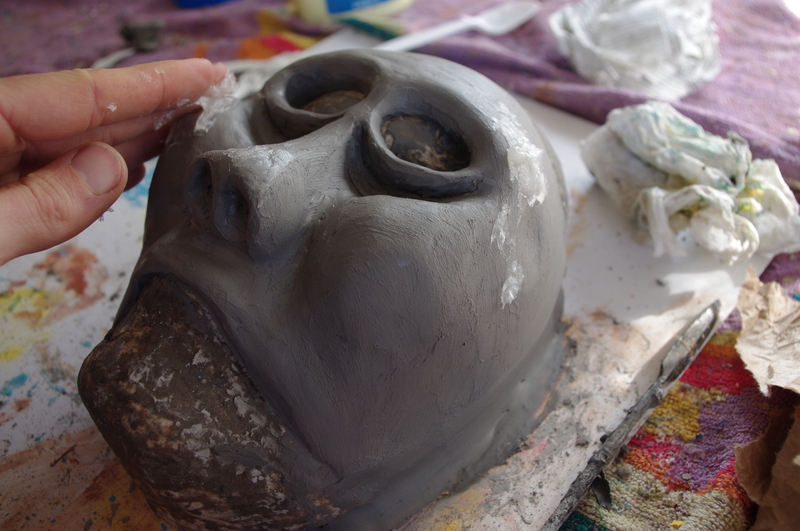 Sculpting: You can always change what you’ve done so take big risks and make the face leap to life. Only the outer edges need to be close to the face. Leave enough space between your eyes and mask eyes. Second Lube: Add a layer over vaseline over every part of the clay. Better too much than to little. Facial Accessories: This is the fun part and can greatly enhance a mask. Use strong glue like contact cement. It will take several layers. Trim teeth so they don’t obstruct mouth too much. Paint after to blend them in properly. Make sure you can see around the false eyes or that the holes in the ping pong balls are aligned to your sight. Heating the Metal: With an open flame like this mini torch or on a gas stove, heat socket wrench head or other round, hollow piece of metal. It is possible to balance it on an electric stove element. Lighters don’t work. Burning Eyeballs: Test the metal against the plastic and heat more if necessary. Don’t proceed if metal is too hot as it will melt away the ping pong ball and cause too much toxic smoke. Do this melting outside if possible. You can use a small size first, see how it looks and fits then enlarge it later if you wish. Screen: Cut screen to size and glue behind eyeholes and nostrils. Sometimes more than one layer isn necessary. Painting: Take painting classes. Take your time. Avoid using brush strokes. Stippling with the end of the brush is better. Try working with very dry or very wet paint. Any acrylic paint will do but the really cheap stuff may crack. Make lots of colour and shade contrast. Hair: Adding eyebrows, moustaches, beards can make a mask leap to life or save one that isn’t working. It is also good to use as cover if the sides or lip aren’t fitting. Fake fur is good because it is connected at the back. Use mottled (mixed) not solid colours. Paining the hair also looks good. Coating: Clear, non-toxic coating helps blend colours a bit and makes it look more flesh-like as well as protecting from moisture and chipping. Use matte for the skin. You can use semi-gloss for the eyes and lip. Clips: It is great (but not necessary) if the wearer should can adjust the elastic without taking the mask off. Two semi-circles work well to feed the elastic through and the strap stays tight with pressure. Backpack adjuster clips are ideal. The Strap: If the edge of the mask is strong enough, you can cut a slit, feed in the elastic and sew to itself. You can also build in a loop or twist wire to a loop. This photo shows glueing on the elastic. Use plenty strong glue.